Wow what weather we are having here in little old Berkshire, it has really made it hard for me to focus on promoting my new Everlasting anniversary card range, when i have itchy green fingers to work on our garden. As you can see i am already being distracted by writing this post lol. I have so much to do, sorry i should say "we" being my husband and i, have so much to do in our garden. So much veg needs planting, soil turning and i have had him putting up a series of corner trellis on our pagoda, for the climbers to grow up and across it. We have one small wine making grapevine, but we plan to add a second edible variety for the second front corner. 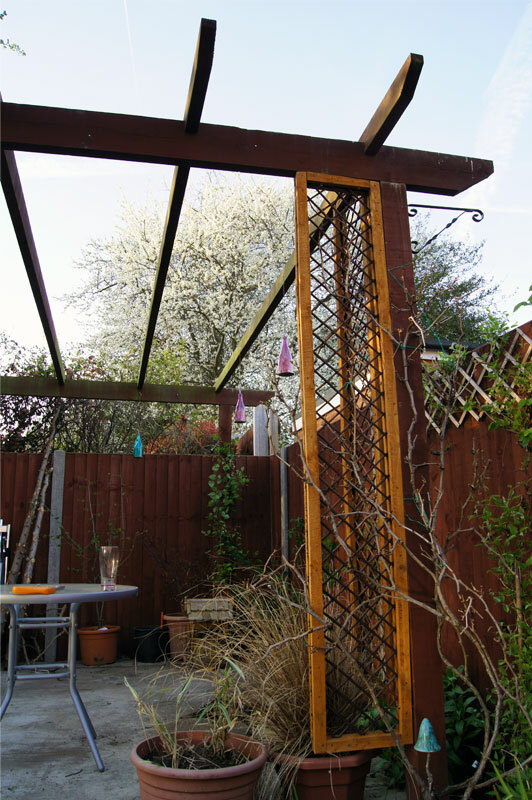 We will also have our honey suckle and clematis growing up and (hopefully) through the beams and trellis to intermingle lots of beautiful flowers, once they all mature. It's one of those projects; we started when we moved in almost two years ago and have been slowly trying to create our own Greek taverna feel. Luckily part of the blame *cough* delay is purely down to the growth of the plants and not our laziness. haha. Still need to plant the edible grape on the left hand side. 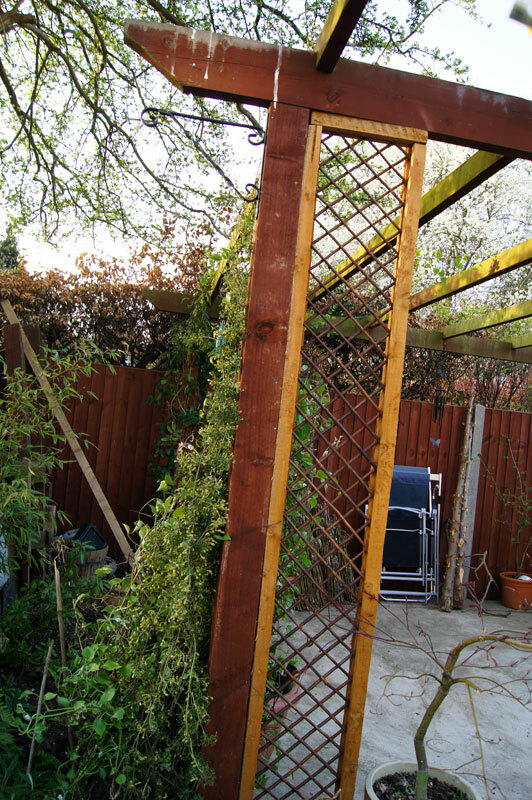 This weekend now all the trellis has been installed and the plants carefully attached i have taken a few piccies to show where we are at. This entry was posted in General and tagged gardening, weather, distractions, grape vines on April 2, 2012 by Sherrie.